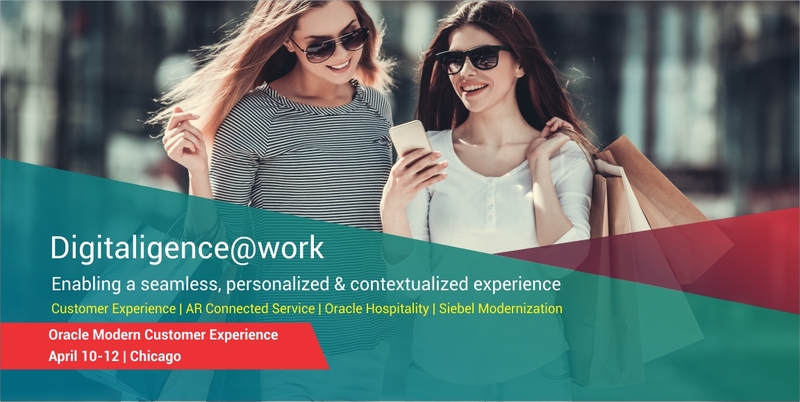 As a leading new age partner of Oracle, we at ITC Infotech are excited to meet with you at the Oracle Modern Customer Experience event in Chicago from 10-12 April, 2018. Modern CX brings an integrated approach to CX, and we are looking forward to discussing exciting opportunities for a Digital future with you. ITC Infotech is helping global leaders redefine CX, and create a sustainable competitive differentiator. ITC Infotech is Oracle’s global Platinum Partner across Oracle Cloud CX apps (Sales, Service, Marketing, Loyalty, Commerce, Social, Field service, Mobility), Oracle ERP cloud, BI, big data, and Micros Hospitality offerings. A dedicated “Oracle Industry Solutions COE” powers ITC Infotech’s deep B2C/B2B industry expertise, across Retail, Consumer Packaged Goods (CPG), Travel, Hospitality and Transportation. Independent research firm, Forrester Research Inc., has cited ITC Infotech in its report titled “Leading Oracle Services Providers globally”. Oracle Marketing Cloud’s product strategy, execution ability, integration capabilities, and simple user interface met our expectations to address rising campaign velocity, variation, and volume. ITC Infotech’s implementation services helped us get on track with our campaign management journey. — Rajesh Garg – Group CFO, Landmark Group. Oracle’s portfolio for Customer Experience (CX) applications is best of breed and is highly recommended by clients. PTC’s Thingworx Experience (formerly Vuforia ) is the industry’s market leader in augmented reality solutions. ITC Infotech’s “Augmented Reality for Connected Service” solution is built drawing upon our success delivering IoT & CX applications to our clients. As organizations evolve to service based revenue models, providing excellence in service through all channels become paramount to that goal. Augmented Reality for Connected Service provide tools to help customers, call center agents and field service technicians to engage and drive service excellence. Depending on the customer’s environment, the Oracle CX Applications referred to here may include Oracle Service Cloud, Oracle Policy Automation, Oracle Field Service Cloud, Oracle IoT Cloud, Oracle ERP Cloud, Oracle EBS & Oracle Siebel CRM. The customer is being rediscovered, giving rise to the need for a defined and actionable enterprise customer experience strategy that drives a renewed focus on customer acquisition, retention and delight. Each and every customer interaction delivers a brand experience, and with ITC Infotech’s services & solutions for Commerce, Marketing, Loyalty, Sales & Service, you can ensure your most profitable customers stay loyal. Rip-and-replace is not the only way to modernize Siebel, as modern Siebel provides best of UI/UX (Open UI) which can run on any device, any browser, provide Mobility in connected or airplane modes, IOT integration, seamless upgrades, and so much more. It also allows mix and-match by integrating Siebel with Cloud Apps thereby allowing you to have best of both worlds. 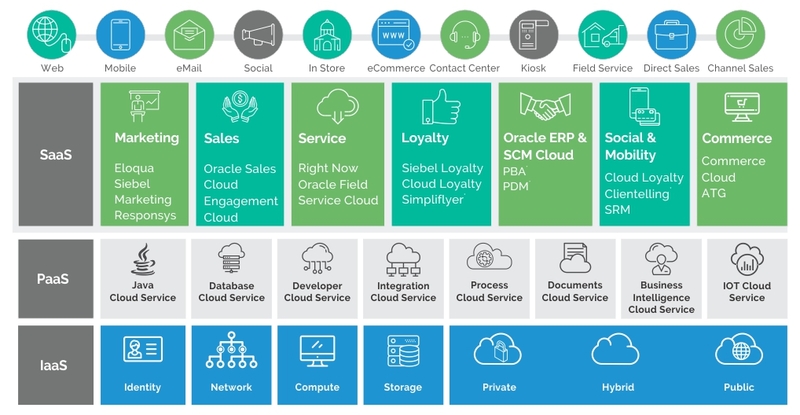 Siebel on Public Cloud allows Siebel to be run as a SaaS application and ITC Infotech provides this service to customers. We provide Customer & Guest experience services, ERP Services, Micros Services, BI/Analytics Services and Infrastructure & Helpdesk services to Hospitality customers.